Item Number : 05495Feature : BONDED LEATHER/CHENILLE SOFADimensio..
ADJUSTABLE SOFA05635DIMENSION: L:70x34x33"H,Flat:70x44x16"HFEATURE: beige m..
ADJUSTABLE SOFA05858DIMENSION: L:70x34x33"H, Flat:70x44x16"HFEATURE: White .. Item Number : 05945Feature : DARK BROWN LEATHER SOFAColor :Dimens..
Feel inspired by nights out on the town with the Torcello sofa. Upholstered..
12000 Bladen SofaIf you love the cool look of leather but long for the warm..
12001 Bladen SofaIf you love the cool look of leather but long for the warm..
13000 Milari SofaMilari sofa masters the art of smart and sophisticated sty..
14101 Charenton 2PC SETS Sofa + LoveseatCONSISTS OF:1410135LoveseatInches: .. Inches: 92” W x 39” D x 39” HColors:CharcoalStyle:Contemporary.. Item Number : 15030Feature : TOP+SPLIT LEATHER SOFADimensions :&n.. Item Number : 15061Feature : BLACK BND L. SOFA W/Q. SLEEPERDimens..
15104 Harleson 2PC SETS Sofa + LoveseatCONSISTS OF:1510435LoveseatInches: 7.. Inches: 100” W x 41” D x 40” HColors:WheatStyle:Traditional..
15203 Islebrook 2PC SETS Sofa + LoveseatIndulge in feel-good luxury and cri..
15203 Islebrook SofaIndulge in feel-good luxury and crisp, contemporary sty..
What do you get when you mix craftsmanship and style? 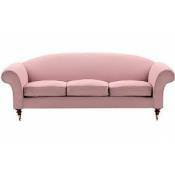 The Hannalore sofa. B..
15502 Mindaro 2PC SETS Sofa + LoveseatInspired by a great pair of men’s oxf..
There’s nothing bland about the Gleason sofa. Two-tone charcoal color is ac..
15703 Gleason 2PC SETS Sofa + LoveseatThere’s nothing bland about the Gleas.. The sleek mid-century lines of the Alenya sofa are always in vogue. With ne..
Bring home ultimate comfort with the Levelland power reclining sofa. Reclin..
Bring home ultimate comfort with the Levelland reclining sofa. Recline back..
18003 Claremorris 2PC SETS Sofa + LoveseatCONSISTS OF:1800335LoveseatInches.. Inches: 93” W x 37” D x 38” HColors:FogStyle:Traditional..
Dimensions (Confirmed):Inches: 92" W x 40" D x 40" HMetric: 2336.8mm W x 10.. Handsome lines, a supple feel and signature DuraBlend® craftsmanship—offeri.. Inches: 93” W x 39” D x 38” HColors:GrayStyle:Contemporary..
Dimensions (Confirmed):Inches: 94" W x 44" D x 38" HMetric: 2387.6mm W x 11..
Dimensions (Confirmed):Inches: 97" W x 45" D x 42" HMetric: 2463.8mm W x 11..
23702 Marrero 2PC SETS Sofa + LoveseatCONSISTS OF:2370238SofaInches: 80” W .. Inches: 80” W x 38” D x 37” HColors:FogStyle:Contemporary..
27403 Traemore 2PC SETS Sofa + LoveseatCONSISTS OF:2740338SofaInches: 91” W.. Inches: 91” W x 40” D x 40” HColors:LinenStyle:Casual..
27703 Fehmarn 2PC Sofa + LoveseatCONSISTS OF:2770338SofaInches: 97” W x 40”.. Inches: 97” W x 40” D x 39” HColors:ToffeeStyle:Contemporary..